S’mores aren’t just for camping. 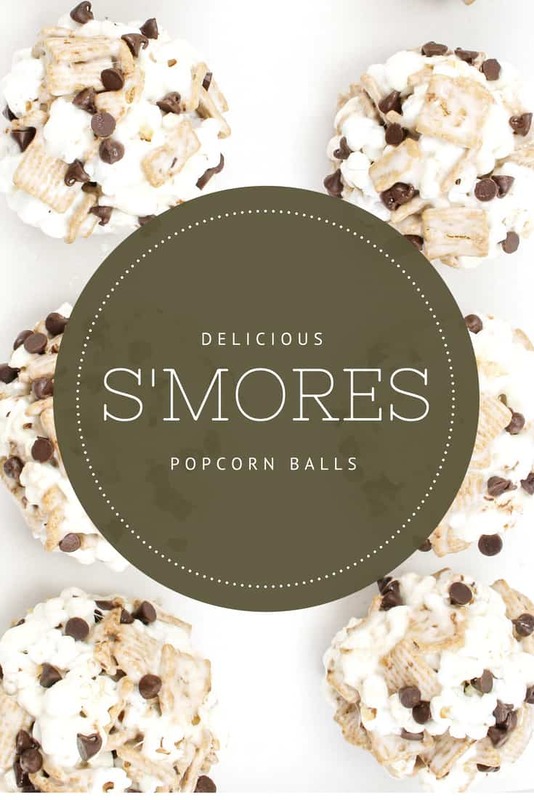 These S’mores popcorn balls are fun to make and eat anywhere. Using graham cracker cereal in place of the graham crackers is pretty clever. Warning: They are addicting. I bet you can’t eat just one! 1. Pop the popcorn per package directions, set aside. 2. Melt the butter in a large sauce pan. Add the marshmallows and cook and stir until completely melted. 3. 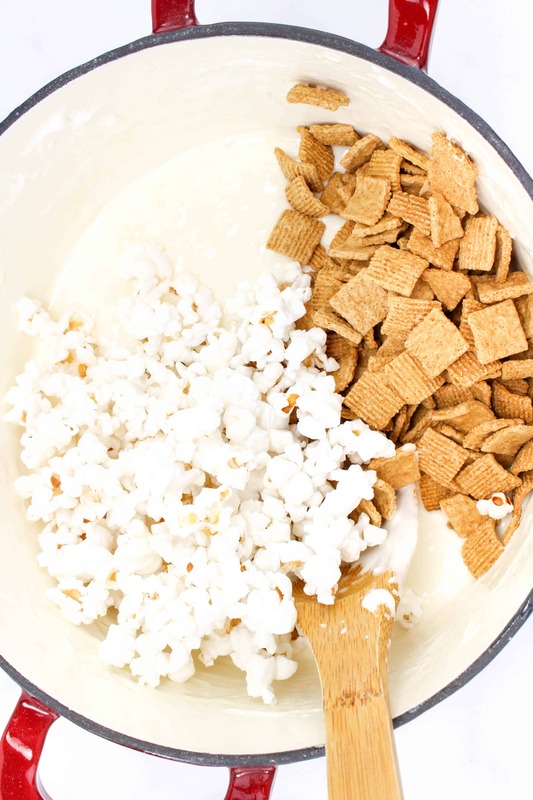 Remove the melted marshmallows from the heat and add in the cereal and popcorn. Stir until everything is evenly coated. 4. Let the mixture set for a couple minutes so it is still warm but not hot. Then coat your hands with cooking spray or butter and form the popcorn mixture into balls. You can make these as big or small as you want. 5. 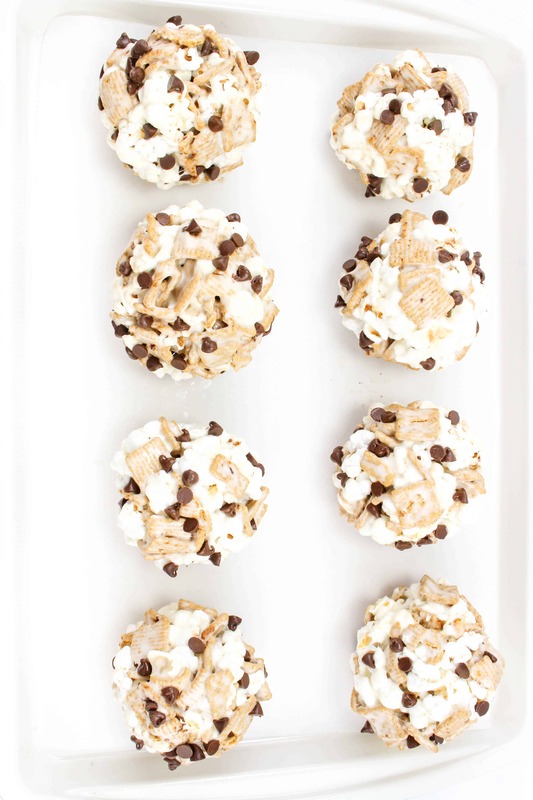 Take the chocolate chips and press some into each ball all over the outside. 6. 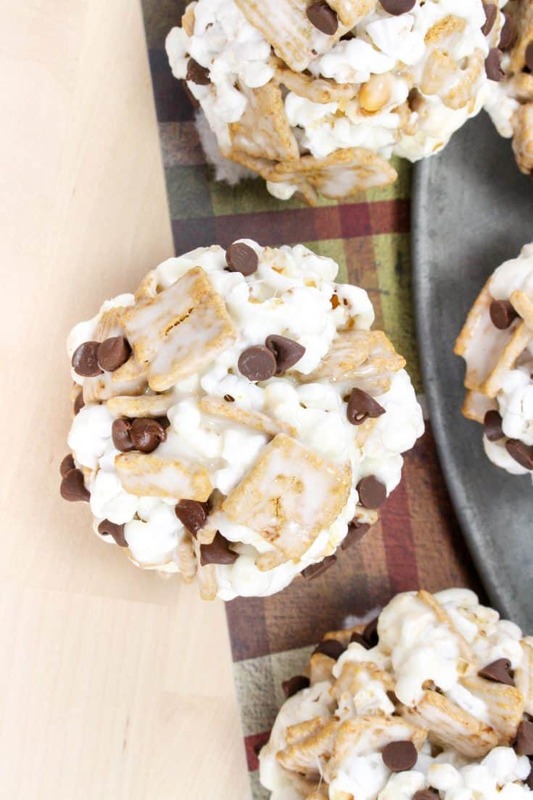 Set the s’mores popcorn balls on a baking sheet to cool completely. These would be so cute for a camping themed party, if you NEED an excuse to make them. Pop the popcorn per package directions, set aside. Melt the butter in a large sauce pan. Add the marshmallows and cook and stir until completely melted. Remove the melted marshmallows from the heat and add in the cereal and popcorn. Stir until everything is evenly coated. Let the mixture set for a couple minutes so it is still warm but not hot. Then coat your hands with cooking spray or butter and form the popcorn mixture into balls. Take the chocolate chips and press some into each ball all over the outside. 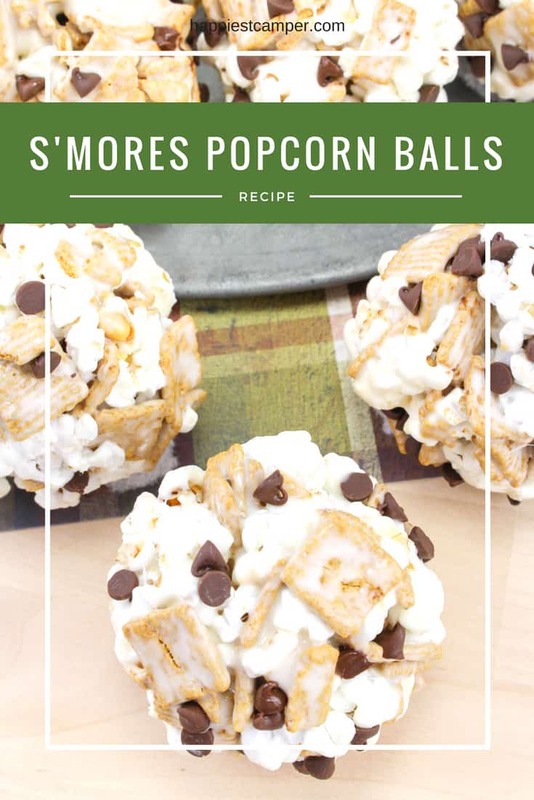 Set the s’mores popcorn balls on a baking sheet to cool completely.